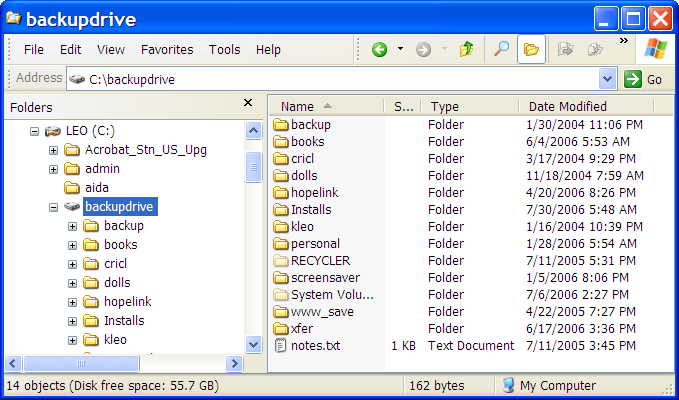 26 drives appears to be the limit within Windows, with drive letters assigned A: to Z:. There are alternatives to 26 drives that are, effectively, limitless. We'll start with the physical drives attached to your system. As we saw in a previous article Can I reassign my drive letters? 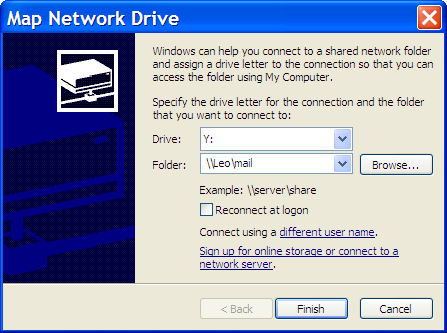 you can, using the system drive management tool, assign the letters of your choice to your drives, rather than accepting the Windows default. While I don't recommend renaming "C:", the default Windows install drive, pretty much any other drive can be assigned any letter that isn't already in use. But at least one of your drives, probably your C:, or Windows installation drive, needs to be NTFS format. The name is totally up to you - the only requirement is that the drive be NTFS formatted, and that this folder you just created be empty. Recalling that the problem was that too many drive letters were in use, there's one last step. 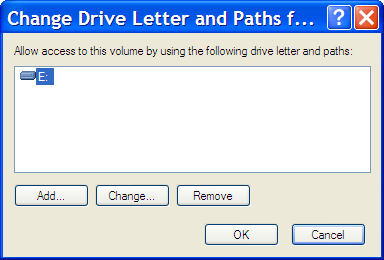 Make sure that the drive letter is selected, and click Remove. You'll get a warning, which I'll discuss in a moment. Press OK on that warning, and the drive letter is no longer associated with that hard disk. It's been freed up for use elsewhere. The contents of that hard disk are still available at c:\backupdrive. 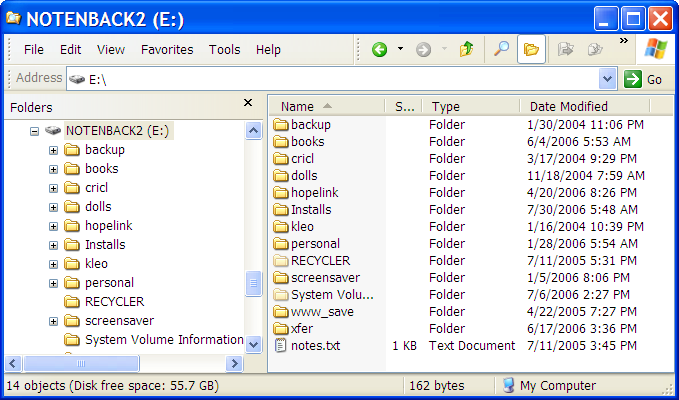 The directory "c:\backupdrive" is called a "mount point" or junction. It's the point at which the contents of another drive are mounted. Physically all the contents below that mount point are on that other hard drive, but logically all files are referenced via paths beginning with c:\backupdrive. The warning you got above is simply telling you that programs which might have expected files on (in my case) "E:" are now going to fail - they'll have to be instructed to look at "c:\backupdrive" instead. One other thing to note; mount points are treated just like any other directory for file sharing purposes. So if, for example, my "C:" drive was shared out, then by mounting the E: drive in a mount point on C:, it also became available for file sharing. Now, simply by sharing c:\dev, all the hard disks mounted underneath are automatically shared. Using mount points you can add a virtually unlimited number of drives or partitions to your system without using up any of the precious 26 drive letters. In many cases there's simply no need to do this. In many cases (though admittedly not all) you can simply use \\server\sharename instead of a drive letter to access a remote resource. This means you don't have to eat up a drive letter by mapping a network drive unless you find you really need to. Finally, let's combine all this together. Then, still on machine B, we share the directory "C:\dev" to the local area network. and we can access all of machine B's hard drives as "Q:\harddisk2", "Q:\harddisk3" and so on. OR we can skip the mapping entirely, and simply reference those drives as "\\MACHINE-B\dev\harddisk2", "\\MACHINE-B\dev\harddisk3" and so on. In this extreme case, you can access all the hard disks on both your local and the remote machine without using any drive letters on either. I'll confess that I do still use drive letters, but mostly as a shorthand. "Q:" is much shorter to type that "\\server\\share". But in most cases, that's the only reason. I Was going to ask you that! That is also really cool. then couldn't you map a ntwork drive, remap it to C:\netdrive or something, then delete the original map??? And Anyway Windows is stupid to limit 26 drives, when it could use #s instead of letters. "Windows is stupid to limit 26 drives". Just remember that Windows used to run on top of MS-DOS, which was based on another O/S ("Q-DOS", as I recall), which was compatible with CP/M-86, which was a 16-bit version of CP/M, which used drive letters just as Windows still uses them. Changing them to numbers 25 years later just won't cut it. Unix (and its derivitives) has been using "mount points" since its inception. It's about time Windows caught up. 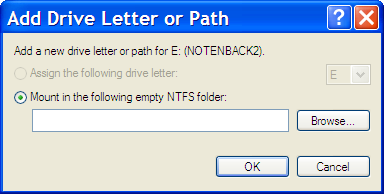 Of course, simply using UNC format ("\\server\share\path\...") removes the needs for drive letters as well. While mounting junctions is useful there are some problems with their implementation. One is how the recycling bin responds to a junction. 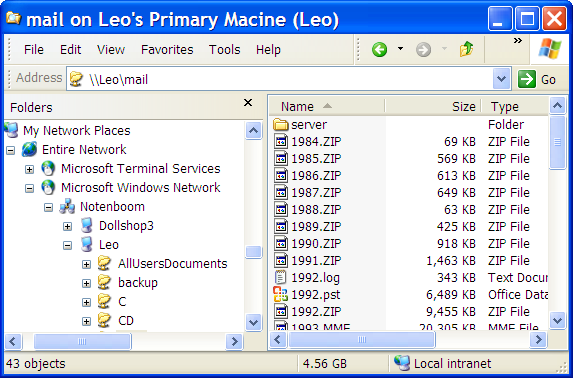 Goto your drive that you have mounted and make a new folder on that drive. Now try moving that folder to the recycling bin. Notice the system will sit for a while and then respond with an Access Denied message. The reason is somewhat explained by Microsoft in KB243514 (http://support.microsoft.com/kb/243514/). In a nutshell the recycle bin is unable to handle folders on a junction mounted drive, and the only work around is to bypass the recycle bin by perma-deleting the folder using shift-del, the rd command, or by turning off recycle bin on the drive the junction is mounted on. Fortunately files are don't cause problems so if you need to delete a folder from a junction mounted drive, first move the files in the folder to the recycle bin then perma delete the folder. This is of course is assuming you care about the use of the recycle bin but thats a different issue. I had been told to limit the hard disk letter to a tight list let say only A, B, C that way i can prevent installing USB, CDROM or any other mass storage device. Do you think it is still feasible? I run a Citrix network at my workplace. One workstation has the data cached onto the hard drives and the other workstation has the Terminal Services Client and Applications. One of the Applications we use requires lots of "reference materials" from the Caching PC. The program creates a the drives on the Caching PC, shares it over to the TSC PC and loads a data source (a reference book). When the program closes it erases the data from the shared drive deletes the drive itself. The process is repeated on each application start-up but refers also to each different Citrix Launch. The application currently reads from 12 data books simultaneously (due to network and drive constraints from G-X). We are about to buy a product with 21 Reference materials. If i set up mounting points, will the application automatically create the same mounting points to use for the sources? Thanks alot! This helps so much! Now I can go out & add those new HDDs, buy another computer for my network, & even (re)attach old drives collecting dust on my shelves! I was grateful to find this work-around but after implementing it, I am having second thoughts. Using the Recycle Bin has become a pain. When deleting large files or many files at once, which I do regularly, it takes several minutes just to complete the process. It takes as long to delete files as it does to "wipe" them using the Peter Gutmann (35 pass) wipe. I understand I can try disabling the recycle bin completely and that may solve this problem, but it's not unheard of for me to restore accidentally deleted files or unforeseen necessary ones. Bottom line: I value the recycle bin's purpose, is there any work-around for the slow deletion issue? I read your article "26 Drives? Is there a way around the 26 drive limit in Windows?" One question: does the drive to be mounted to the empty NTFS folder has to be formated as NTFS? 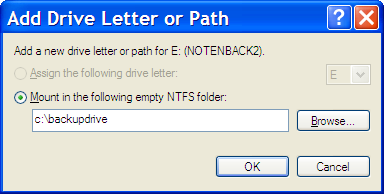 In other words, can a drive of FAT be mounted to the empt NTFS folder? I would appreciate it if you can email me back to verify that! 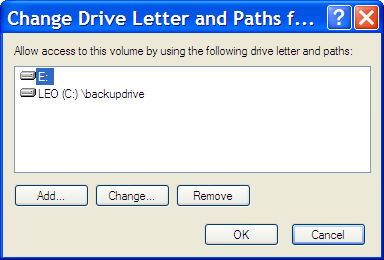 Hey Leo, I was browsing for info on doing full copies of my new, clean Windows OS for backup purposes when I ran across this great article that solved another problem, that of drive lettering. I'm sure I could have found the info elsewhere on the 'net, but I check with you first for most everything because your answers are thorough, clear-cut, and have lots of great supplementary guidance. Still the best! [teal][b]How many network drives i can connect with a window system? I'm glad I read this. 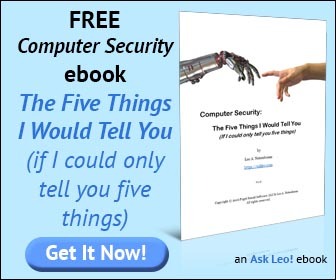 Thanks for the new knowledge, Leo! On a single computer not networked, must file sharing be enabled to change the path of an installed hard drive(not the main one which Windows is installed under)? I was wondering a couple of things. 1)If I usually slipstream windows,so win folder is on c:, "program files" is on d: and "my documents" is on e:. - How can I mount these drives to folders in that (or during that) kind of installation? - would I be able to backup only c: without those mounted folders? - would I be able to full backup c: and those mounted folders without backing up the entire drive (ie: Swap partition, and other extra partitions.)?? - Is there a way to mount those paths to letters and then to folders like "\\Jamespc\my documents" to "c:\Network\james" and so on? Even if you cannot answer these questions, thank you very much Leo, I appreciate the info, the time and the effort. Is there a way to tell the amount of free space on a mount point in Windows XP? Just rightclick on the mount point and go to properties=>properties under the general tab. There you can see the amount of free space as well as used space and capacity. How do you search files in mount points, is it possible? I can't get the build in search in Windows XP to work. I found this app by scarcing for "how to search for files in UNC path" in Google. If anyone knows of another or better way please let me know. Thank you indeed, I´m very greatful for this. Have been sking around everywhere and all I got was, why do that, you don´t need a many drives, etc.. etc.. Mind your own buisseness or turn your head away is all I have to say to them. Thanks again for this! Thanks! I was trying to add my 22nd HDD and couldn't understand why windoze was choking then I realized it ran out of alphabet - to dumb to add a number or double letters, this fixed it for me at least short term. Thanks again. By the way, computer OS should change that which is bad. I'm sure C/PM had a HDD limit for example, we dumped that. Windows needs to dump drive letters or make it more useful in the future, not metrosexual the OS interface. I don't see why file names or folder names should be used. Unless your Microsoft. The solution is to assign relevant terms (keywords) to your data, because then everyone can work with relevancy in all languages, given a Yettabyte of data. Does assigning file names and folder names that alter data paths, really how to store data, or the fact humans don't know what name to assign to file and folder names in the first place! Not to mention the next person sitting down has no idea where to begin shifting through all those folder and file names. But, a relevant tagging system resolves all these issues at once.